Are Spare Change Investment Apps Worth it? Investing money over time can change your life, but not everyone has thousands to dedicate to a proper investment portfolio. Enter the “spare change” investment apps. These apps are catching fire with younger working adults. Apps like Stash, Acorns, and Clink will allow you to start investing with just a few dollars (or less). But are these apps really worth it? Here are the pros and cons to the spare change investment apps. Low Minimum Investment: You can start investing with these apps with as little as $5. Clink lets you invest just $1 a day. It’s easy to invest if it’s less than a cup of coffee. Very Low Fees: Acorns, Stash and Clink all charge a monthly fee of one dollar for balances under $5,000. This is ideal for beginners who are just getting started with investing. However, once your balance exceeds $5,000, using these apps becomes less ideal, we’ll explain that in the cons section. Easy to Use: The apps themselves tend to be user-friendly. You can set up your account in minutes and track the progress of your investments and review your options. Once you set up your account, you won’t have to worry about picking and trading stocks. The money you invest will be placed into a portfolio of Exchange Traded Funds (ETFs) based on the level of risk you choose. 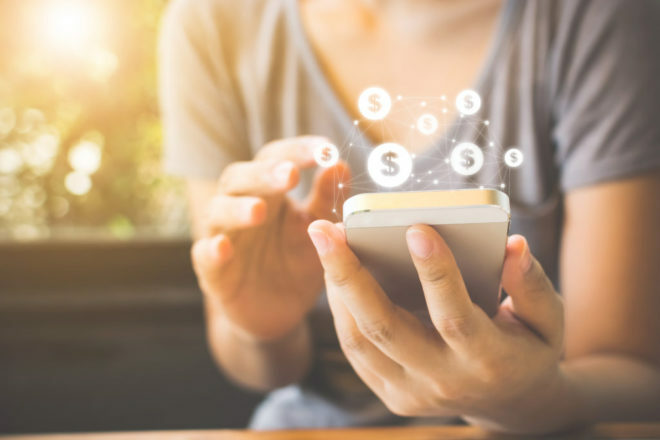 It’s easy to see your earnings, and some apps can even project your earnings years down the road if you continue to make monthly contributions. Automation: You can set up recurring transfers to your account and invest without even thinking about it. Acorns allows you to invest spare change by rounding up purchases. Stash lets you invest in socially responsible companies. It’s as easy as making a few clicks. Potentially Investing Too Little: You also have to consider your personal goals for investing. If you use an app like Acorns and round up $0.30 of spare change for 60 transactions for the month, you’ve invested less than $20. Add to that the fees, and well, it’s not much. High Fees for Larger Accounts: If you start to invest more in spare change apps, you end up paying more money. The more money you have invested, the higher the fee will be with spare change apps. These apps aren’t really designed to hold exceedingly large investments. Limited Account Options: These apps tend to only offer one type of taxable account to investors. There is no option to enroll in a tax-deferred account like a Roth IRA. This can limit your options in the long run. The bottom line is, if you can afford to invest more than $5000 a year, these apps are probably not your best option. However, if you are a beginner and want a simple way to invest your money, they could help you get started.